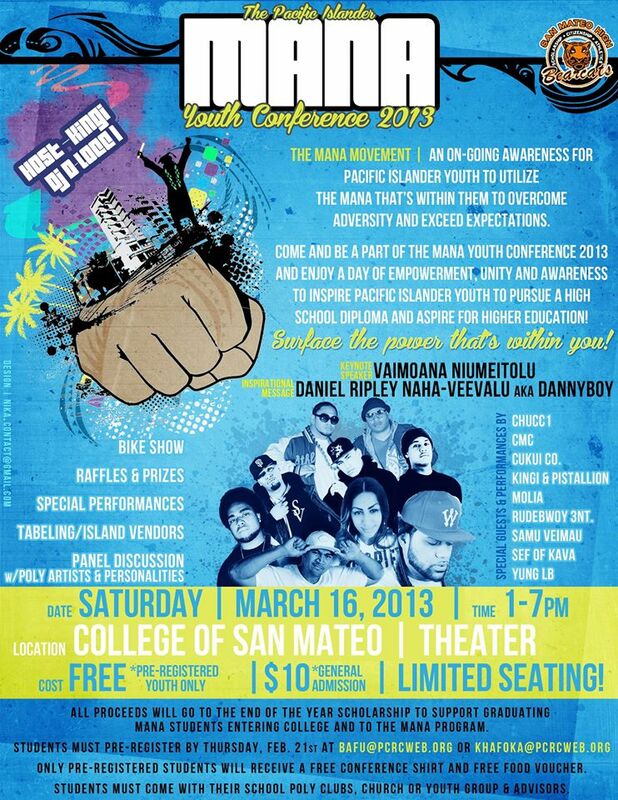 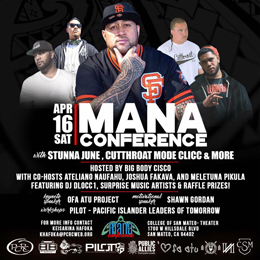 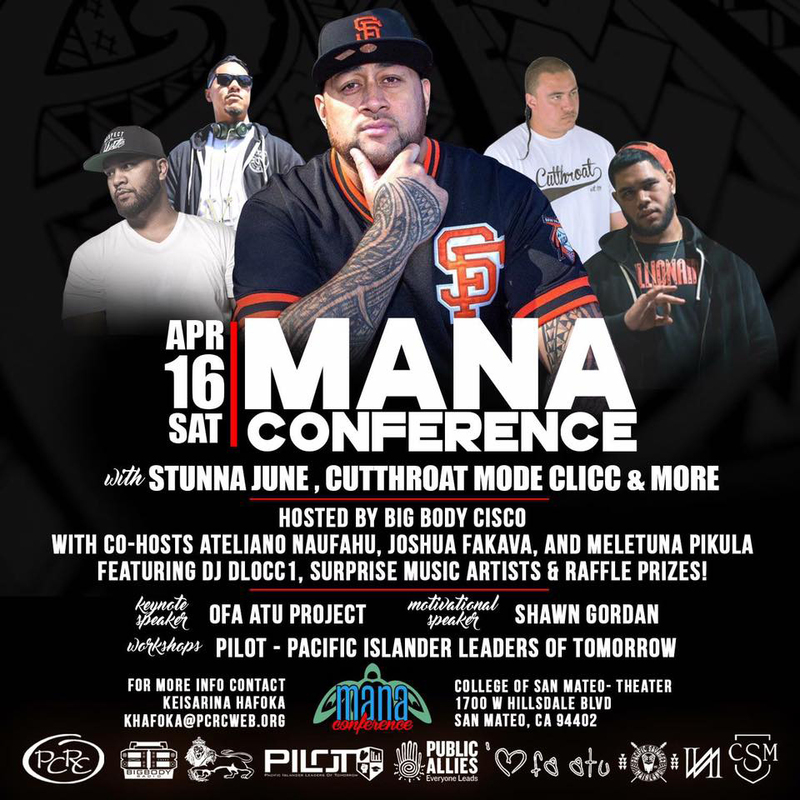 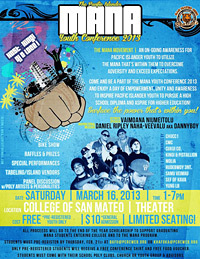 Each spring, CSM teams up with the Peninsula Conflict Resolution Center to host the Mana Conference, a day of unity and awareness focused on inspiring and assisting Pacific Islander youth to obtain their high school diplomas and attend college. 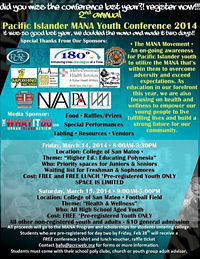 Workshops focus on the Pacific Islander cultural identity as it relates to health and wellness, oppression and the classroom. 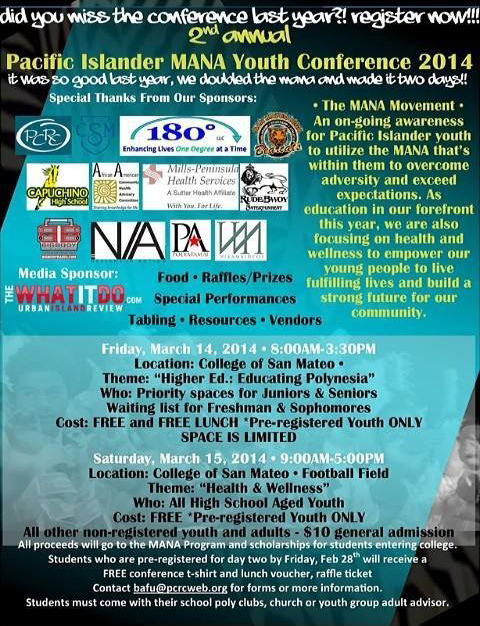 A financial aid workshop is offered for all high school juniors and seniors who are interested in pursuing a post-secondary education. 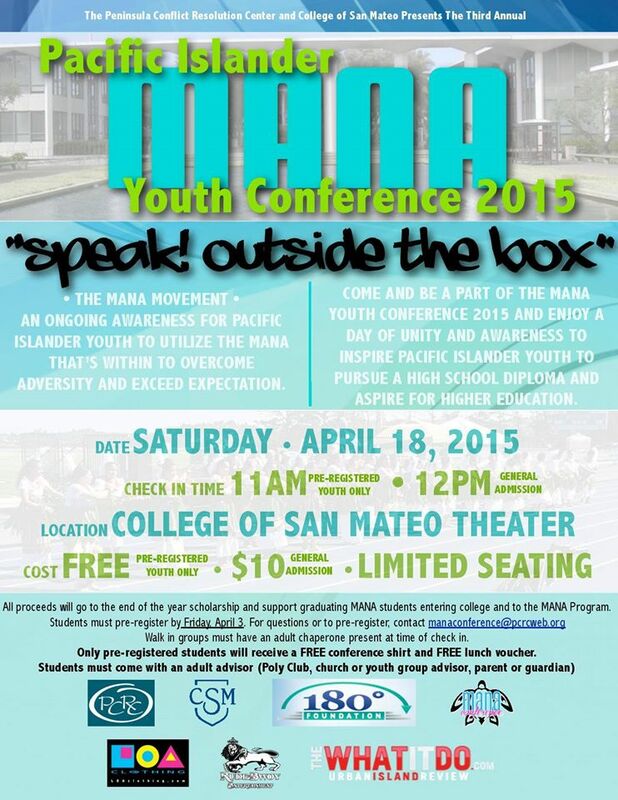 All workshops encourage and actively engage students to find ways to retain their Mana while navigating through daily life in the United States. 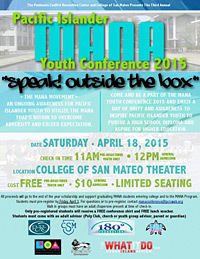 The Spring 2016 Conference will be held on Saturday, April 16, 2016.